I have talking to one of my Heroes, Captain Chuck Knowlen. 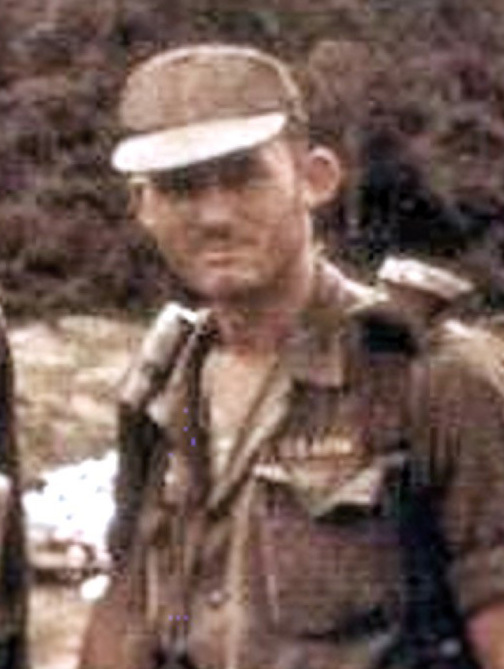 Captain Knowlen was the 1st Charlie Troop Blues Platoon Leaders. 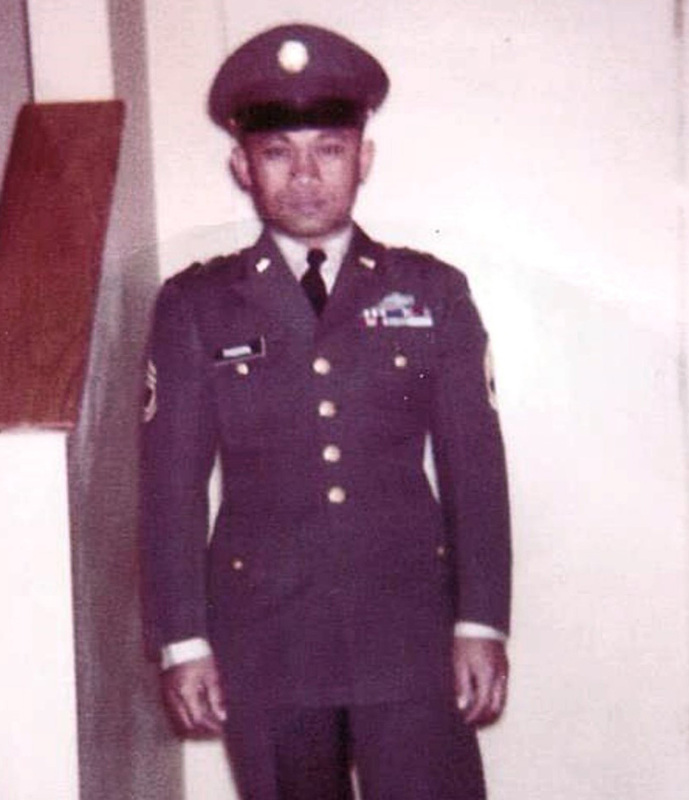 Under his tutelage the Blues became the Best they could be making Charlie Troop, the 1st Squadron, 9th Cavalry Regiment and the 1st Cavalry Division very proud. I had asked Chuck about the Famous Ambush I had heard about. I told him I had read one article supposedly written by Joe Galloway where he downplayed the events of that night. Now you will see at the end of this post where Joe wrote something totally different. Chuck had given me a lot of information but as usual, I was confused. 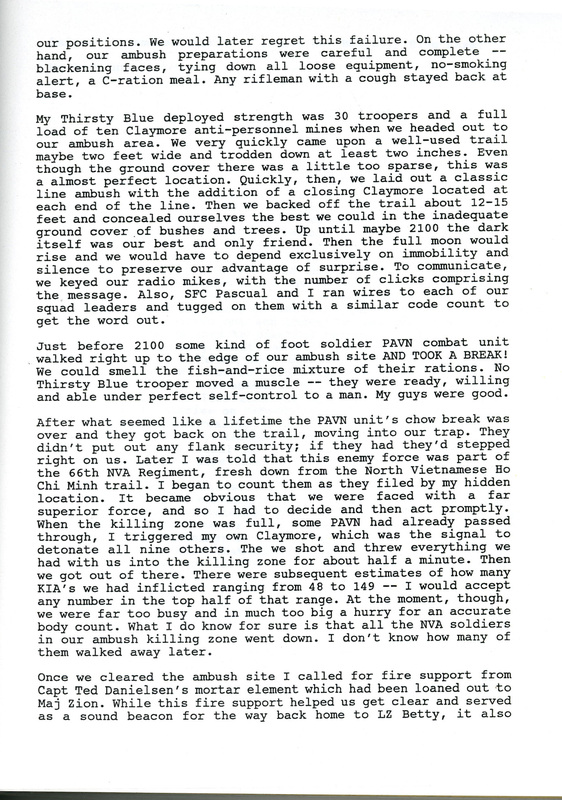 So, Chuck sent me the following paper work that he and Colonel (then Major) Bob Zion submitted. 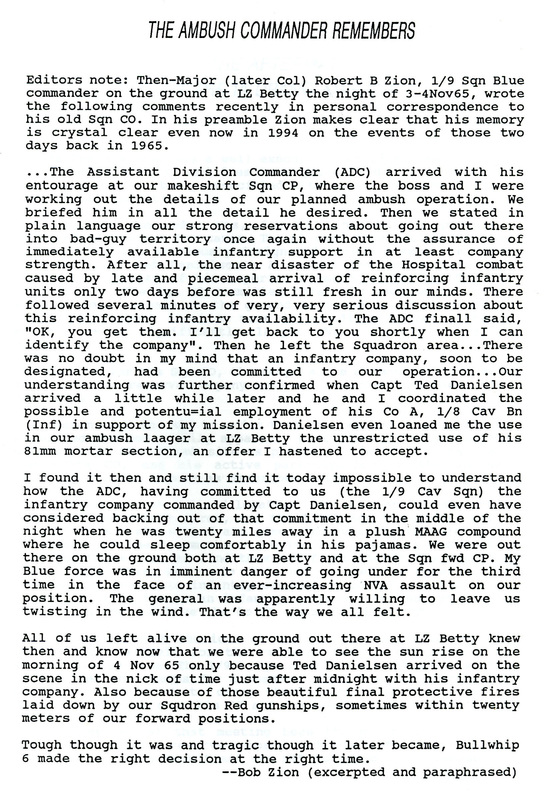 CW3 Jim Reid led the Lift ships into LZ Betty that night. 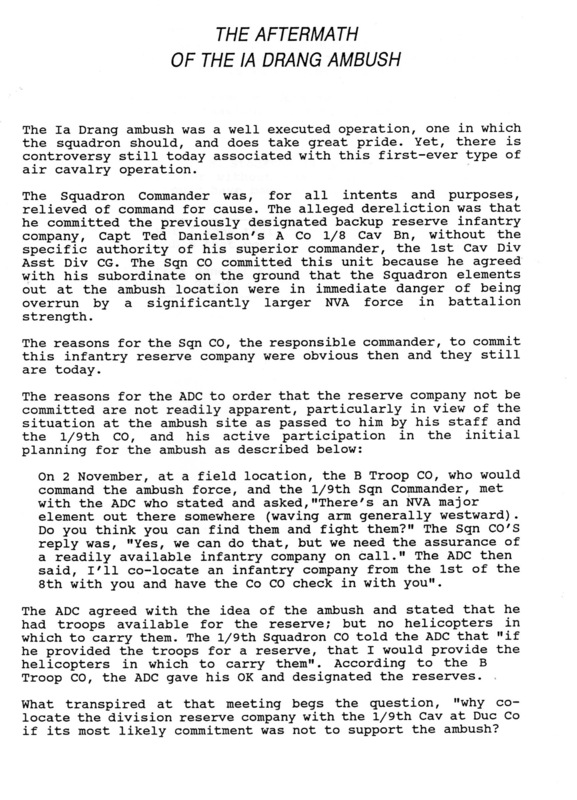 It was first night combat assault by Helicopter. 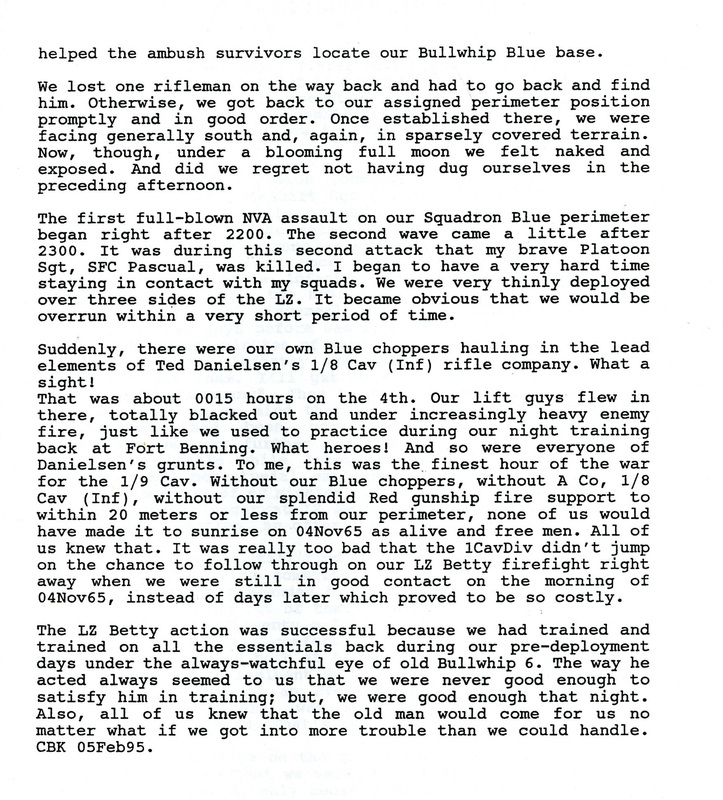 It was also the first Night Assault into a Hot (Being Fired at) LZ. PAVN is the Peoples Army of Vietnam. LTC John B. Stockton had requested permission from Division Headquarters to insert the reserves. BG Knowles denied him that permission. 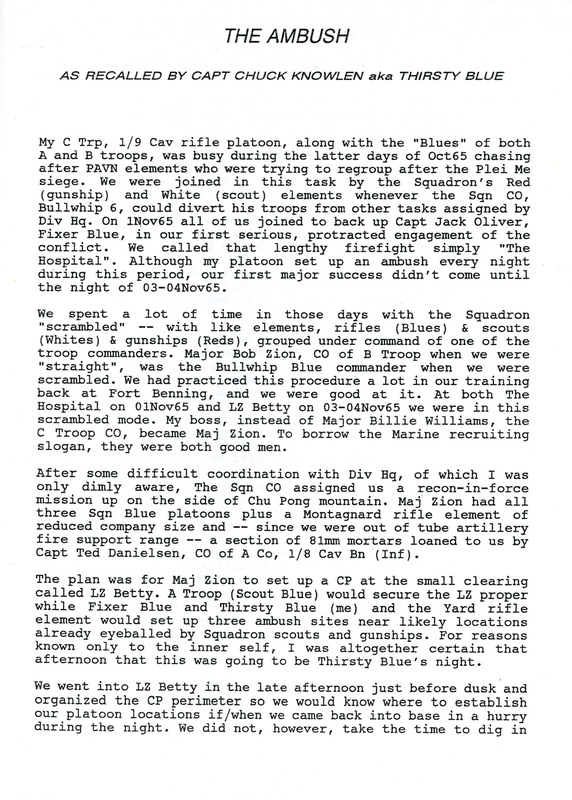 LTC Stockton knowing the urgency of the situation gave the orders to insert them anyway. 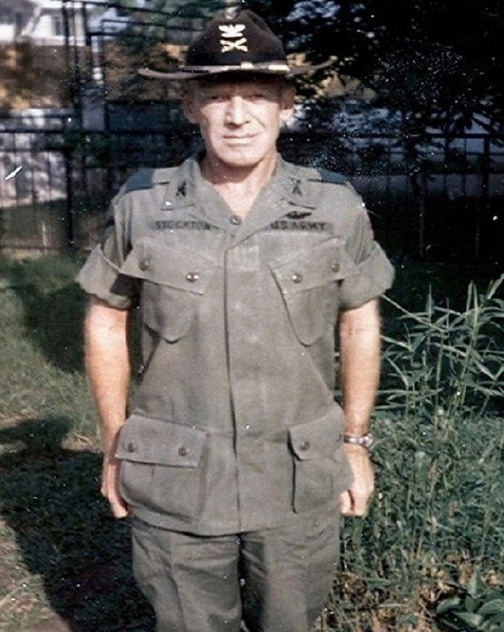 For his decision that night, LTC Stockton was relieved of his command and sent to Saigon for desk Duty. 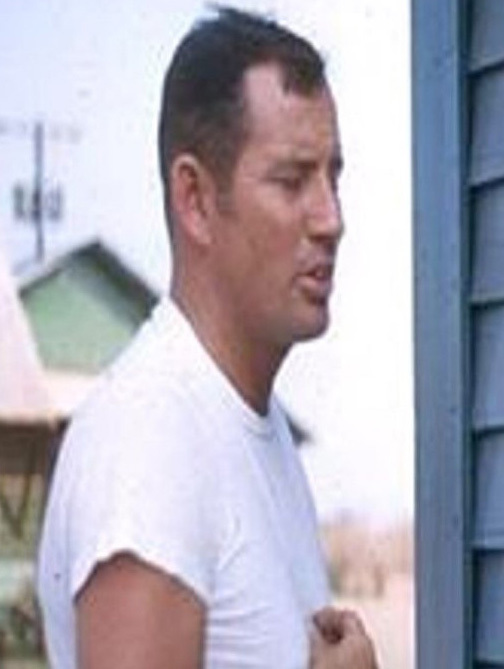 In my opinion and many others as well, it should have been BG Knowles who was relieved of his duties. 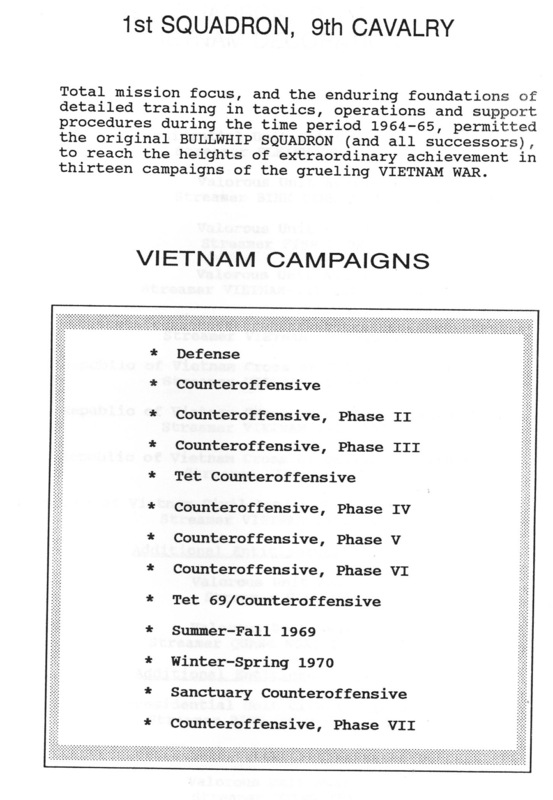 Sir, I would like permission to place your link to the Battle of An Lao Valley or just add it in it’s entirety as a separate post. Maybe you would like to come to our. That Crew Chief you mentioned will be there. I know he would like to meet you again.